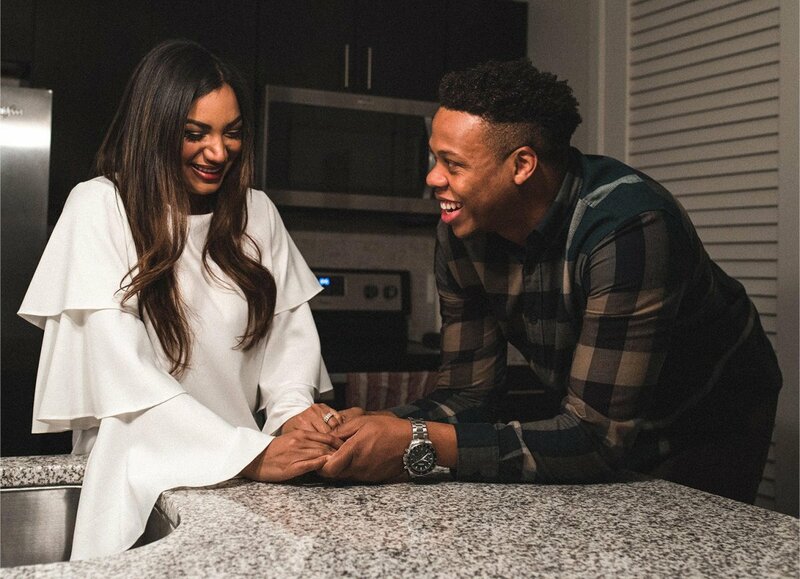 Married at First Sight couple Mia Bally and Tristan Thompson have finalized their divorce. Mia and Tristan's divorce was finalized in a hearing on November 5, according to Dallas County court records obtained by Radar Online. According to the terms of the divorce, Mia and Tristan each retained all the personal property and bank assets that were listed solely in their own names. In addition, Married at First Sight Season 7 stars are each solely responsible for any debt they incurred after the date of their separation -- which, according to the divorce decree, was May 5, 2018. Given the couple's Married at First Sight wedding only occurred on March 25, the May 5 date would mean Mia and Tristan separated nearly two weeks before the show's eight-week experiment ended and each couple was required to decide whether to remain together or get divorced. Mia and Tristan did not present themselves as already separated at Season 7's "Decision Day," which took place at the conclusion of the eight-week period. In fact, Married at First Sight's "Decision Day" broadcast included footage of Mia packing an overnight bag and leaving Tristan's apartment the night before "Decision Day" so they could contemplate their marriage decision in private like Season 7's other two couples. "It's going to be really weird spending the night alone before Final Decision Day," Mia said during the October 16 broadcast on Lifetime. On the season's subsequent reunion show in which they had announced they were divorcing, Mia and Tristan said that while they'd had several fights during the eight-week filming period, they only split for good after "Decision Day" occurred. "The day after we were done filming, she walked out again," Tristan said. While they gave significantly conflicting accounts of the incident that resulted in their final split, Mia had agreed with Tristan's claim that it only occurred after Married at First Sight's filming concluded on "Decision Day." "It was hard, because it was like the training wheels were taken off of my bicycle and I'm left to drive myself and I'm just driving it into a ditch," she said. Mia had filed for divorce from Tristan on September 4 in Dallas, TX, citing insupportability as the grounds for the divorce. "The marriage has become insupportable due to discord or conflict of personalities that destroys the legitimate ends of the marital relationship and prevents any reasonable expectation of reconciliation," Mia's attorney Bruce Kaye stated in the Dallas County court filing. Although the phrasing may sound ominous, insupportability is the basis upon which Texas courts grant the vast majority of the state's divorce cases. While the party seeking the divorce must still prove the marriage is insupportable, insupportability is considered a "no-fault" divorce basis, which means a divorce can be granted without proof that one party was at fault for the breakup of the marriage, or identifying the source of the conflict. As part of the final divorce decree, Mia's name was also formally restored as Ameea Janice Bally, the name she had used before marriage. The decree also declared the couple did not have any children and Mia is not pregnant. Mia, a 29-year-old airline recruiter; and Tristan, a 29-year-old former collegiate and semi-pro basketball player, were shown dealing with many ups and downs in their relationship on Married at First Sight. The biggest hurdle the couple encountered was Mia initially lying to Tristan about her March 27 arrest in which she had been detained in a Texas airport while traveling to Cancun, Mexico for their honeymoon and spent two days in custody. An arrest warrant had been issued back in February by Mia's alleged ex-boyfriend, Jared Evans, who claimed she had stalked him on multiple occasions in the 13 months that followed their December 2016 breakup and also made an unauthorized purchase of an Apple iPhone on his credit card one year after their split. Mia initially told Tristan the situation was a matter of identity theft and she had no relationship with her accuser, but she slowly came clean to her concerned husband off-camera, resulting in a lack of trust in their marriage. In a pair of Instagram postings she made last month, Mia claimed she is innocent and Evans' police report was false. According to Mia's postings, she is the victim of a false police report in regards to her ex-boyfriend's stalking accusations, and he actually called and texted her thousands of times following their alleged break-up.